Landport Lithium starter battery 24 Wh ML-LFP01 12 Volt 2 Ah from County Battery Services. LFP01 is a OE quality lithium battery specially designed for motorcycle manufacturer KTM. With its ultra-light weight (0.5 kg) and unique fit, LFP01 fits perfectly in 2016-2017 models of KTM (250 SX-F, 350 SX-F, 450 SX-F) and Husqvarna (FC 250, FC 350, FC 450). It features an integrated ‘state of charge’ indicator for instant battery testing. 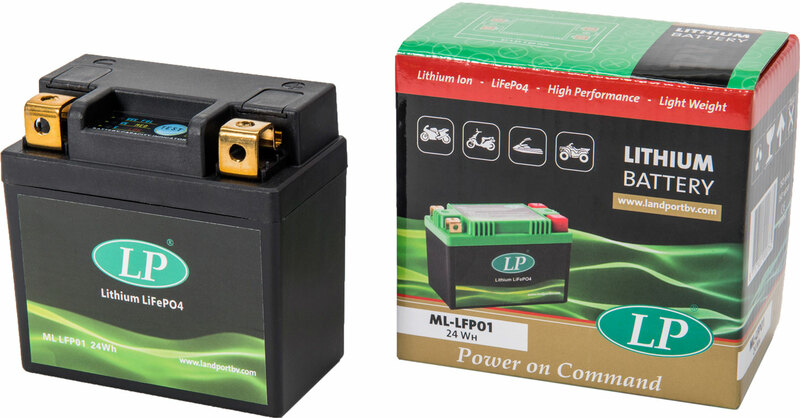 LFP01 simply is the best replacement battery available for above motocross models with electric starter. In stock now!